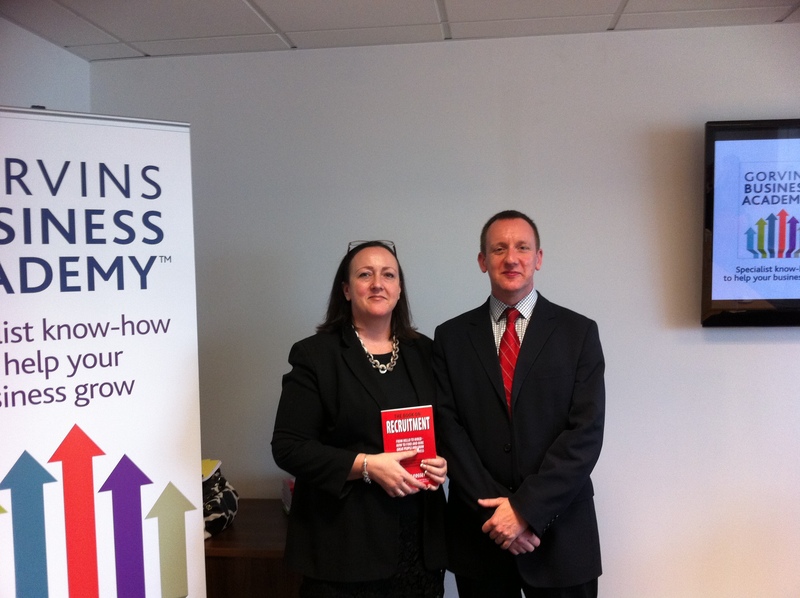 So today was the launch of the Gorvins Business Academy – aimed at providing training for small businesses in all areas that they may need help in. The first in the series was Recruitment – by yours truly! I talked about the 5 main problem areas that other hiring managers have and how our copyright D.R.I.V.E. system eliminates those 5 problems areas. There is one thing ALL successful companies have in common. They might be in diverse industries, may have differing management styles, be targeting different market sectors…they might be called Tesco, Virgin, Google, Facebook, Marks & Spencer, it doesnt matter – because they ALL have to hire staff. And yet it is the one thing that most managers and business owners are never taught to do. I have seen so many hiring managers make no preparation for interview, just winging it and using Gut Feeling. If you are hiring a 25k salesperson – that is at least a 40k investment in your business when you add in employers NI, training and management time, hiring or advertising fees. If you were spending 40k on IT kit you would get 5 quotes, know the ins and outs of each one, involve all stakeholders. And yet – when they are hiring – they look at the CV 2 minutes before the interview, walk in and ask anything they feel like and make a decision on Gut Feeling. Is it any wonder it all goes wrong so much of the time. Well – read the book (The Book on Recruitment) or come watch me speak at an event on our D.R.I.V.E Recruit and Grow system – and stop leaving this most vital of management tasks to chance.